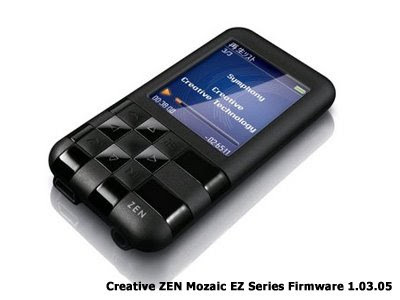 This download contains an improved version of the firmware found on your Creative ZEN® Mozaic EZ player. It ensures smooth music playback when your player is locked. For more details, read the rest of this Web release note. I have a Creative Zen Mozaic EZ series and I just bought it. But now, it isn't working. It won't turn on and when i connect it to my laptop, its not detected. I try to reset it and it just appear Creative Zen, then blank. Can you tell me what;s happening and what can I do? i'm really upset coz I love it soo much. please help me, thank you.